Be prepared, and stay safe during outages. If it's down, it's a danger. Stay back and dial 911. Keep yourself, trees & tools 3 metres from power lines. Report an outage, find current and planned outages, and tips on how to prepare for outages at your home or business. 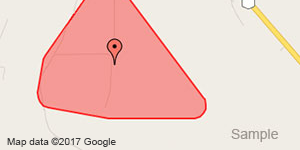 View an outages list or an up-to-the minute map of confirmed BC Hydro outages. Outage not listed? 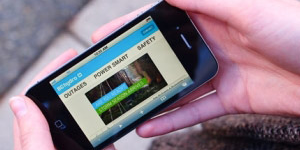 Call 1 800 BCHYDRO or *HYDRO on your mobile. Electrical current can travel through people, along the ground or through water. Follow our simple electrical safety tips to keep yourself and your family safe at home. 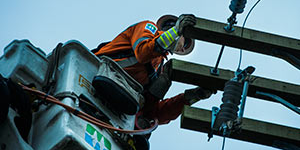 Trades workers and first responders are often near high-voltage power lines. Have an emergency kit and plan in place. Know the specific actions you should be familiar with. The Great British Columbia ShakeOut is October 19. Do you have a family & household emergency plan? Ensure that adults and older children in your home know how to turn off the water, electricity and gas. How to safely keep wires on your property clear of vegetation. Follow our guidelines to ensure your trees and plants are a safe distance from power lines. The Ministry of Environment authorizes our use of pesticides. See our Pest Management Plan & related information. Low-level electric and magnetic fields, like those from power lines, aren’t linked to adverse health effects. You may have questions about living near power lines. We provide some answers. Magnetic fields from everyday appliances can be higher than from power lines. Health Canada and the World Health Organization conclude that EMF isn't linked to adverse health effects.